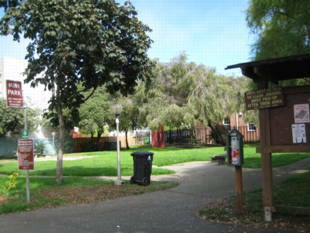 Muriel Leff Mini Park is a small but beautiful green space, a great addition to any neighborhood. 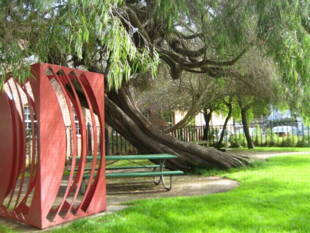 It's a great place to stop and rest under a tree in the shade, at one of its benches, or eat lunch at its picnic table. 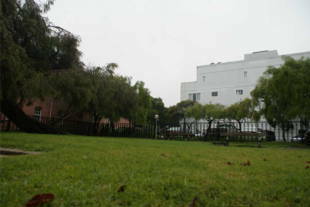 The park includes a small sandbox and a unique art sculpture. 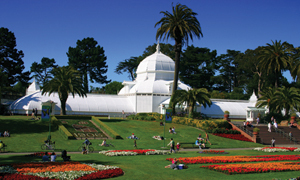 Muriel Leff Mini Park is owned by the San Francisco Recreation and Park Department. 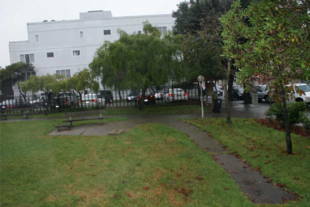 38/38L-Geary -- 6th Ave. and Geary, walk one block west to 7th Avenue, then south towards Anza one-half block. 44-O'Shaughnessy -- 6th Ave. and Anza, walk one block west on Anza to 7th Ave., then north towards Geary one-half block.